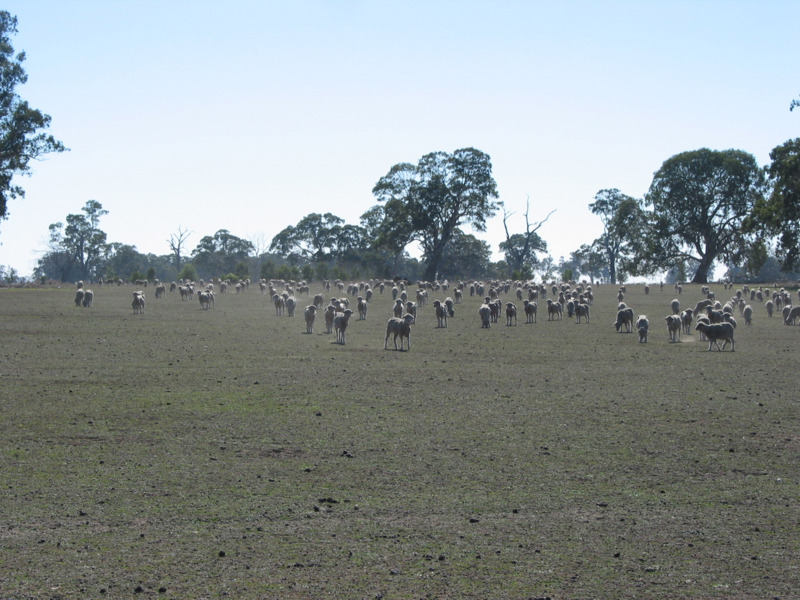 The productivity of sheep is largely governed by the amount of pasture they eat and this is influenced by the quantity of the pasture on offer and its quality. Therefore, when assessing pastures to predict and manage animal performance, both quality and quantity need to be taken into account. The quantity of pasture in a paddock is known as feed on offer (FOO). It is the amount of pasture in front of an animal at any one time, measured in kilograms of dry matter per hectare (kg DM/ha). FOO is the balance between how much pasture grows each day and how much pasture is removed by grazing animals. Being able to accurately estimate FOO is an essential skill in managing animal production and pasture utilisation. FOO targets to match production objectives have been identified for different classes of animal and for various aspects of pasture production (such as manipulating pasture composition or reducing insect populations). The appropriate FOO target depends on the objectives for a particular class of animal or a particular pasture attribute and it may be that these are not compatible. For instance, intensively grazing spring pastures to 1400kg DM/ha can have a marked effect on increasing clover content, reducing grasses and reducing pasture pests such as red-legged earth mite. However, 1400kg DM/ha is too low for lactating ewes and would significantly reduce milk production and lamb growth. In the table below, lower and upper boundary FOO values are suggested for optimal growth of annual plants during different periods of the pasture growth cycle. managing spring pastures to ensure adequate seed is produced for the following year’s pastures. An efficient grazing system would aim to maintain FOO between 800-1400kg DM/ha in autumn/winter and 1400-3000kg DM/ha in spring. Within this range, animal intake requirements will be met, while pasture growth and utilisation will be maximised. An estimate of the average green FOO in a paddock is required for any feed budgeting or grazing management decision. This estimate needs to include the variation in FOO across a paddock as sheep will move around selectively grazing different areas. The simplest method to assess FOO is to divide the paddock into sectors or proportions (say thirds or quarters) and assess the FOO in each sector. Divide the sum of these by the number of sectors to get the average FOO. Remember that FOO in the establishment phase in autumn/early winter is very different to winter or spring FOO because plants contain more water and less structural material. For example, a FOO of 500kg DM/ha in autumn looks like a spring FOO of 1500-2000kg DM/ha. Thus, there is a tendency to overestimate autumn FOO. Use the FOO boundary figures to decide if there is enough FOO to meet your production objective for your sheep.